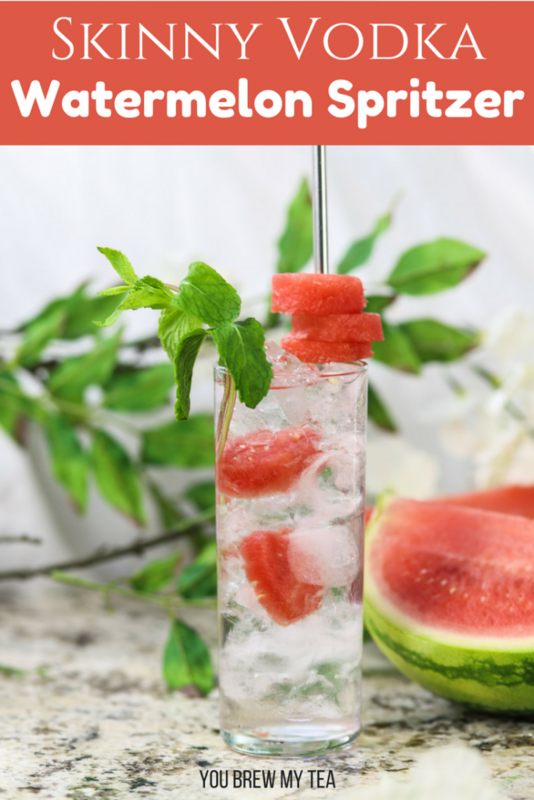 This Skinny Watermelon Vodka Spritzer is just another great Weight Watchers friendly drink from our good friend Derrick from This Worthey Life. He always comes up with delicious drinks for our readers since we don’t drink alcohol. Since watermelon season is my favorite season, this one is going to be a perfect option! 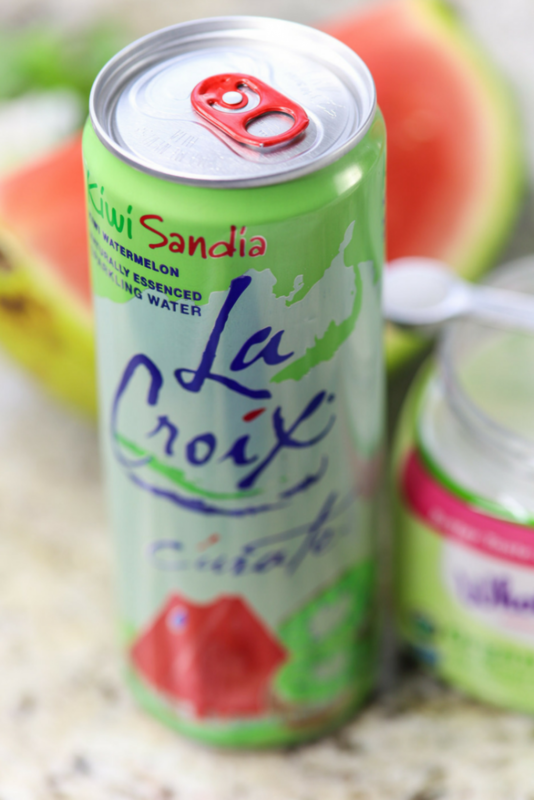 We love using La Croix in various drinks. It adds that fizziness we love in a soft drink, but so much healthier. Using those along with some stevia instead of other sugar-laden options keeps this low point. In fact, vodka is only 2 SmartPoints per ounce. That’s a great low-point drink you can manage in seconds! 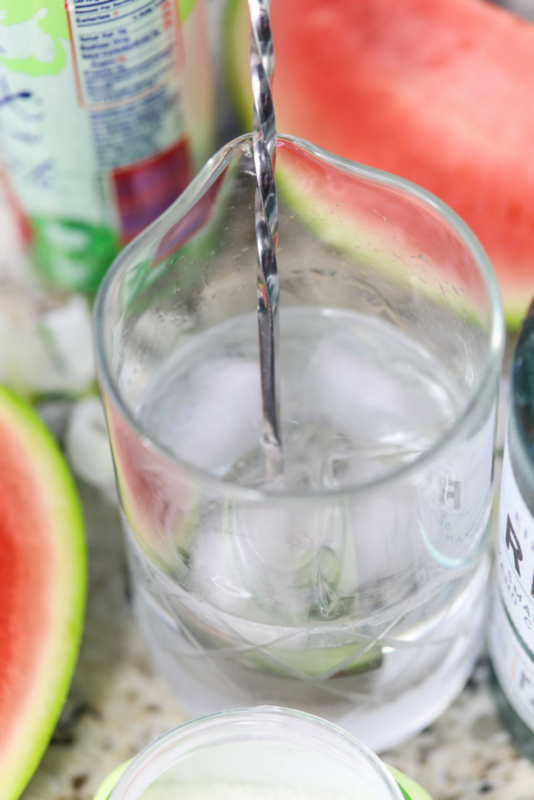 Add 4 cubes of into a cocktail mixing glass, add organic Stevia, vodka, La Croix Kiwi Watermelon sparkling water. 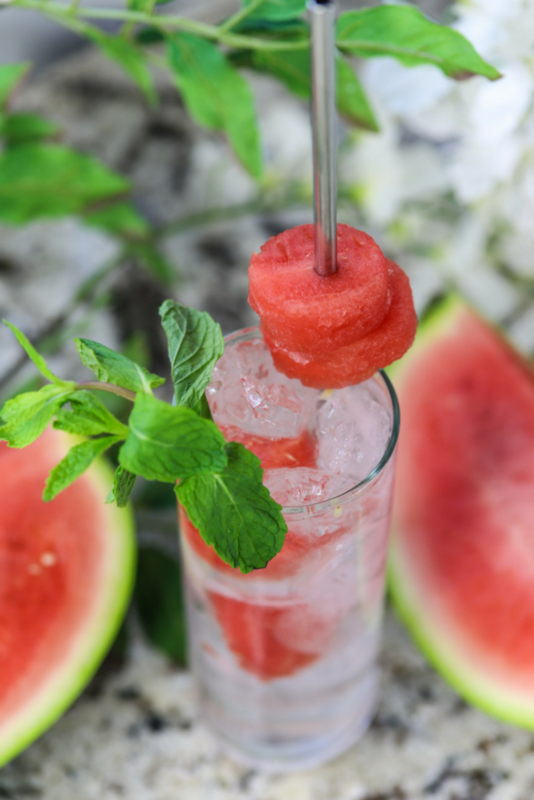 Strain into a Mojito-style glass filled with ice and three rounds of watermelon. 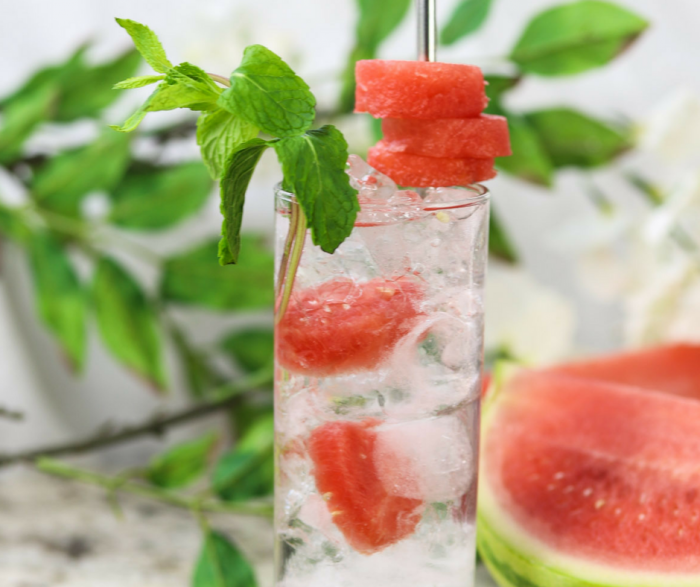 This skinny vodka watermelon spritzer is a perfect drink for your spring and summer weekend barbecues. It’s refreshing, bright, and delicious! 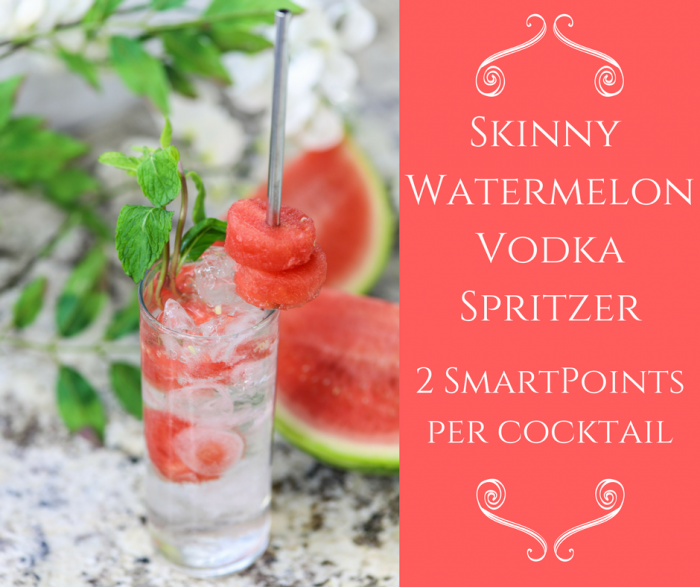 What more could you ask for in a fun vodka spritzer?! Leave the alcohol out and serve up as a mocktail for the kids! Everyone will love this recipe at your next party! While I don’t drink alcohol, many of my readers have asked for some lower point cocktail recipes. 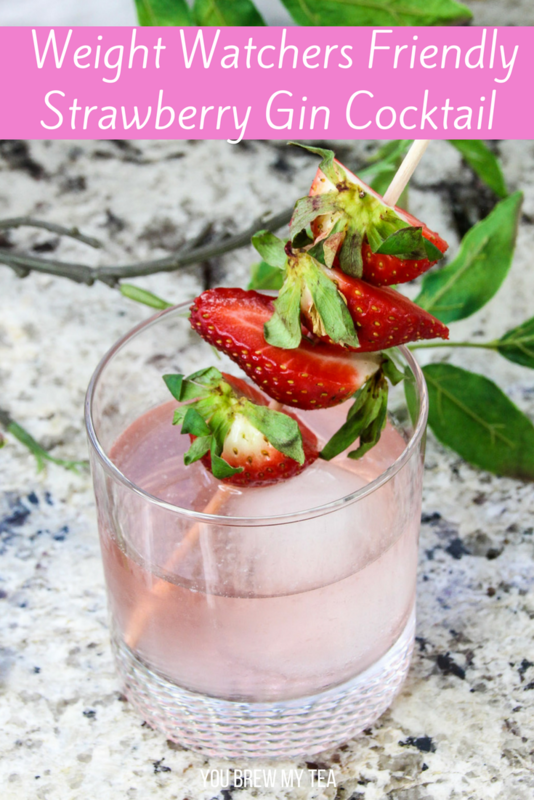 Since my good friend Derrick from This Worthey Life is always sharing great ones, I asked him to whip up this Strawberry Gin Cocktail Recipe for you guys to test out. He has used some great combinations of flavors to really add a punch to a cocktail that would normally be much higher in points. As I mentioned, I’m not an alcohol drinker, so I have to trust my friends to tell me this is a tasty treat. Yes, at 5 SmartPoints per serving, it can add up fast. That said, it is much lower in points than the alternatives that tend to have 12-15 points per serving. If you aren’t a wine drinker but prefer cocktails with hard liquor, this will do the trick. Plus, it’s super fast and easy to make at home! Note: As always, remember to drink responsibly and never drink and drive! In a small saucepan, heat water, Stevia, and 6 strawberries over medium/high heat. Allow this mixture to come to a boil, and continue boiling for two minutes. 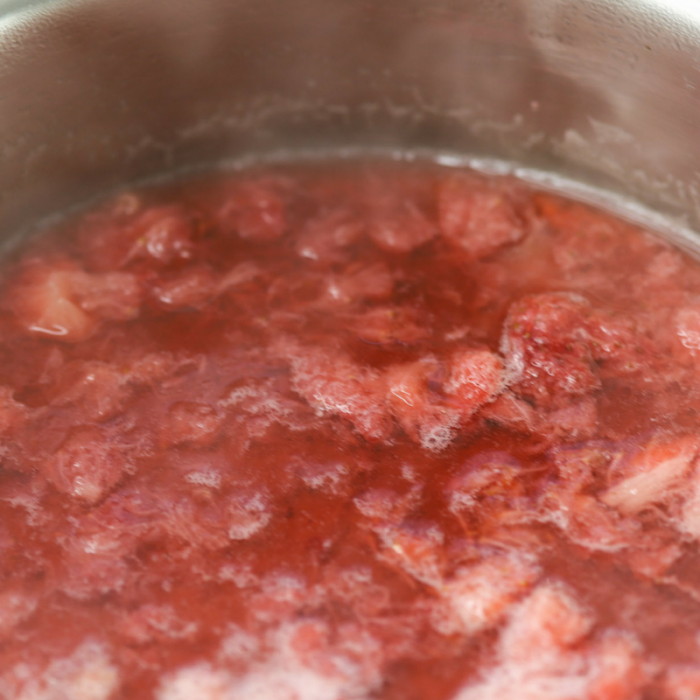 Remove the saucepan from direct heat, and cover with a lid to allow the mixture to steep for 15 minutes. Pour into an airtight container, and store in the refrigerator for at least one hour before use. 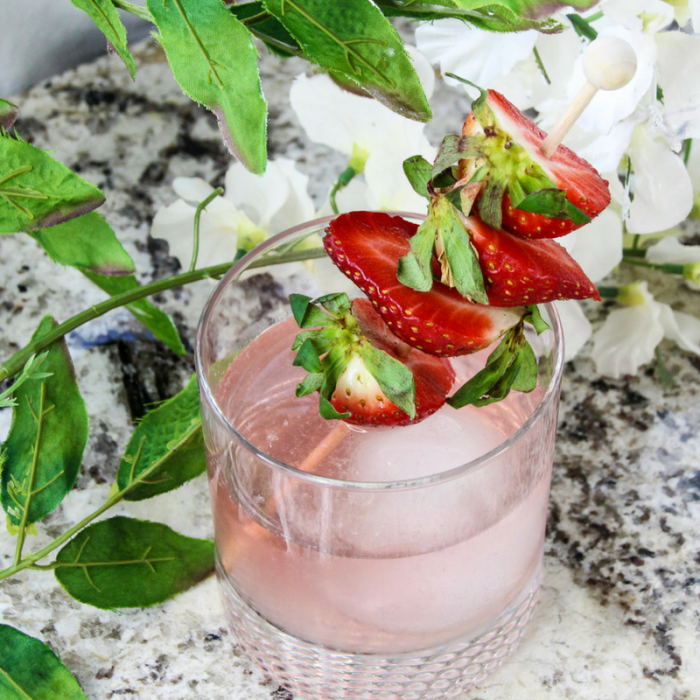 In a cocktail shaker add 1/2 cup of ice, 2 ounces gin, 1-ounce Stevia strawberry simple syrup, and strawberry sparkling water. Using a long-handled bar spoon stir the ingredients vigorously for 30 seconds. Strain into a standard rocks glass filled with ice or a single large ice ball or cube. 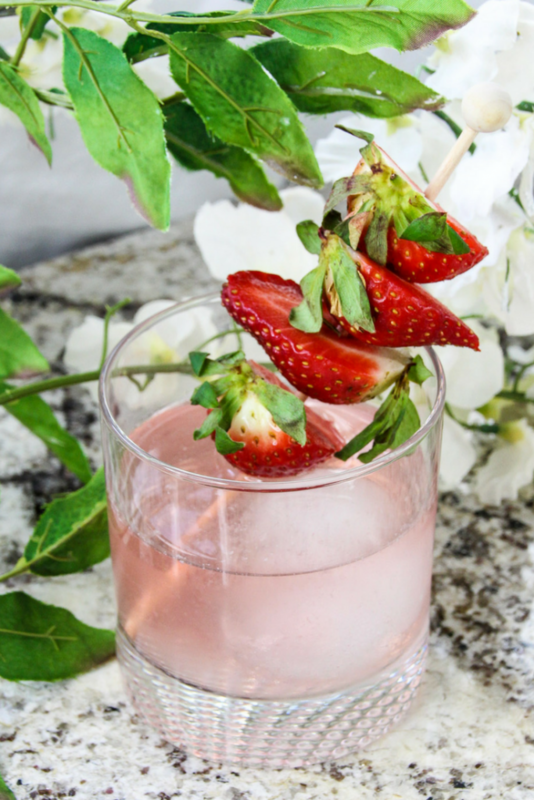 Garnish with fresh strawberries on a cocktail stick. Serve. 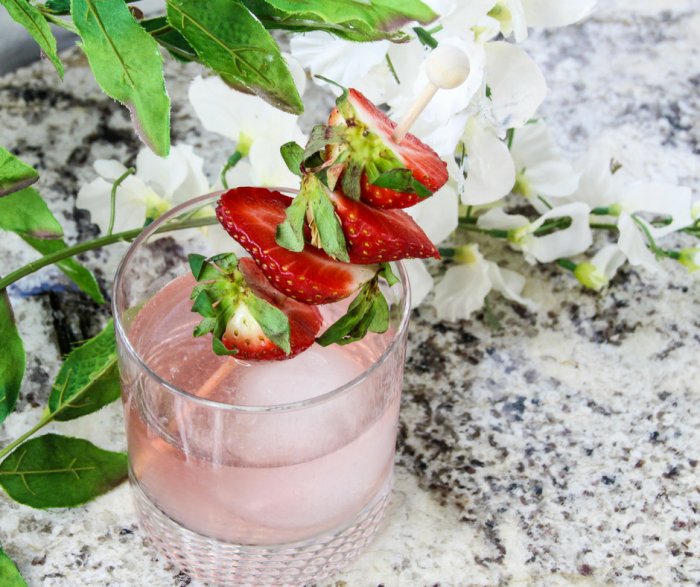 In a cocktail shaker add ½ cup of ice, 2 ounces gin, 1-ounce Stevia strawberry simple syrup, and strawberry sparkling water. 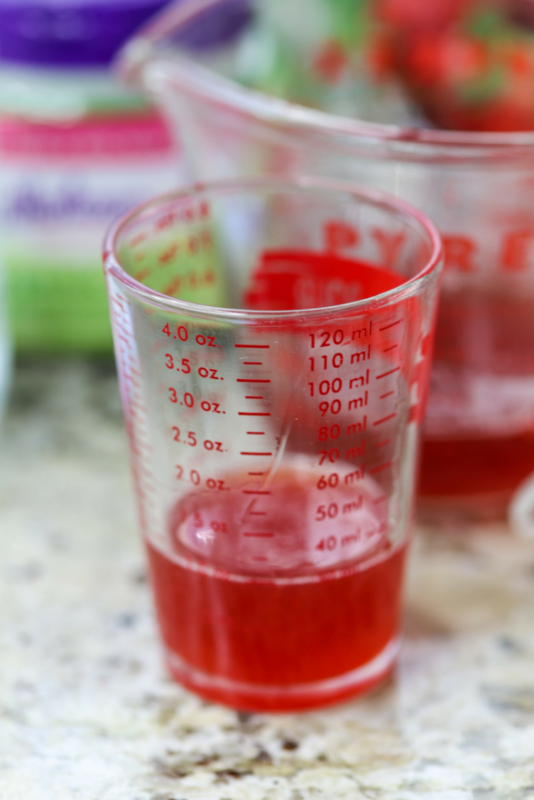 As you can see, this focuses on using stevia sweetened homemade syrup, and a light sparkling water that is flavored and easy to find in stores. Most stores carry various brands of sparkling water, or you can use plain sparkling water if not available. The simple syrup adds tons of sweetness and flavor to compliment the gin.